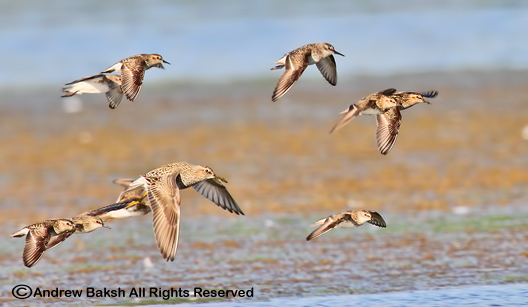 Pectoral Sandpiper and Semipalmated Sandpipers? @Prairiebirder - nice work, you got 2 out of three. The last one was Least Sandpiper. Darker than a Semipalmated, leg color is one of the easiest way to tell them apart from Semi if they are not caked with mud. @Kevin - Very good. You got 1 out of three. The other two were Semipalmated and Least Sandpipers.